It is a given that life is going to end in death. There is no other conclusion, no other end, no other answer possible to the eternal question of life but death. It takes magnificent madness or immense intelligence to invent happiness into an otherwise bleak undertaking, which invariably ends in dying. We are therefore so charmed by the stories which restore our faith in this ever-so doomed journey of life. The Great Gatsby is a mix of both- the madness and the intelligence. This is a rare book which doesn’t need a review but which one cannot stop analyzing and raving about. It is such an amazing work that one doesn’t even want to credit the writer about it. Such brilliant art is nothing if not an accident of nature. The writer is a mere conduit of an idea whose time has come. But then, that is very unjust to F. Scott Fitzgerald. The writer stands in stark contrast to his compatriot and sometimes friend Ernest Hemingway. While Hemingway had a stark writing where every word made space for itself only after surviving serious scrutiny of the pen keen to strike it off unless it justified its existence, here the words rise, float and dance and the sheer beauty of it is the justification of those words. Fitzgerald is an author in love with words. The writing is exquisite, poetic and ethereal. It is a book every writer ought to read. Though there is an important point, especially for writers. One ought to read it with a serious mind and a strong wall built around your sensitivity. Like “The Heart of Darkness” or “Lord Jim” of Joseph Conrad, this is a book which will leave you feeling weak and inadequate. At least that is the way I felt. I felt overwhelmed, gasping for my breath in an monstrously over-powering poetic beauty of the brilliant prose. Probably that is why I invented solace in the assumption that such great work can only be an accidental creation. 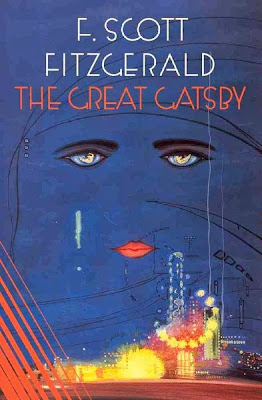 The book looks at the world around and the love which is impossibly real from the eyes of the narrator, Nick Carraway. Nick is a young aspiring author and currently, a bond salesman. He lives next-door to Jay Gatsby, the hero of the story. I dare not call him anything but the Hero. He is a hero for the hopelessness of his situation and his undying optimism. “Main protagonist” is too feeble, too timid a name for such a man. Nick is a Yale graduate and lives in a small rented cottage next to the large house of mysterious Jay Gatsby with unknown antecedents. Nick is amused by the lavish parties his next door, which served their own purpose. Mostly we believe parties are thrown so as to get like-minded or at least familiar people together for some time of fun and frolic. In Gatsby’s parties which quickly became the news of West Egg, were largely meant for unknown people, thrown for unknown reasons. Nick watches those parties from the sidelines, amused and pleased at such extravagant congregation of people coming in like “moth to the fire”. Nick is a great observer and a greater interpreter. He is a good, moral boy, without hang-ups- a disenchanted, but amused audience, providing an outsider’s perspective. He visits his cousin Daisy Fay Buchanan at the beginning at their house in East Egg. They represent a rich and elite class, immersed in the absolute decadence of affluence. Daisy is married to Nick’s friend, Tom Buchanan. Tom is a brute of the man, lost in his foolish self-pride, pride of class, pride of race. He tries to live in an image of moral uprightness with an intensity that he almost appears to believe in his moral superiority. Scott through Nick creates such a beauty with never-hear before descriptions when he meets Jordan Baker at Tom’s place, a cynical Golf Player, an acquaintance of Gatsby’s parties in the land of new money, The West Egg who eventually becomes some kind of mild sweetheart to Nick. Where else would you read a phrase like “-Then the glow faded, each light deserting her with lingering regret, like children leaving a pleasant street at the dusk”? The author keeps Jay Gatsby to himself, a loosely kept secret through the first chapter, during which he keeps jumping in an out of conversation, appearing as a shadow, a mysterious figure, perhaps an apparition, in the end of first chapter. Author plays with your anxious desire to meet and know this man. The second chapter establishes that the high morality preached by Tom is nothing but a pretense as he takes Nick to introduce him to his already married mistress, Mrs Myrtle Wilson as they steal romance behind the back of unsuspecting car mechanic, Mr. Wilson. The enigmatic figure of Jay Gatsby keeps lurking in the back as readers long to see Gatsby, to meet him, to know him. Nick gets invited to one of the Gatsby’s party . Nick, with the air of amused outsider attends the party, wondering how he got invited in the first place and then finds himself completely out of place in unashamedly epicurean environment of the grand lawns of Gatsby’s. It is in this party that Jay appears with his friendly smile and iconic “old sport”. Nick finds a friend in Gatsby’s smile which he describes so sweetly as “He smiled understandingly. It was one of those rare smiles with a quality of eternal reassurance in it, that you may come across four or five times in life. It faced- or seemed to face- the whole external world for an instant, and then concentrated on you with an irresistible prejudice in your favor. It understood you just as far as you wanted to be understood, believed in you as you would like to believe in yourself, and assured you that it had precisely the impression of you that, at your best, you hoped to convey.” I have never before read anything so well, so painstakingly well written about something as ephemeral, as fragile, as ordinary as a smile. We all have been smiled at like that by a friend at one time or the other, but coming to explain it, to tie it up in words- well, it takes a genius to write it down like that. This is not a book review, this is a tribute, a reverence. 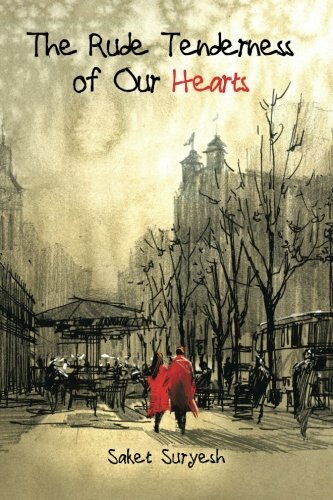 This is to share with all lovers of literature not to miss this great book. This is a book if not read isn’t a loss to the writer, it is rather a loss to the reader.